Well, it’s May 17th and the day that we finally got what we wanted to know about the latest Call of Duty title, Call Of Duty: Black Ops 4. Some of you may be disappointed, while some of us are going to be quite happy. Let’s take a look what was announced today, shall we? That Battle Royale mode has been confirmed and is being called “Blackout”. 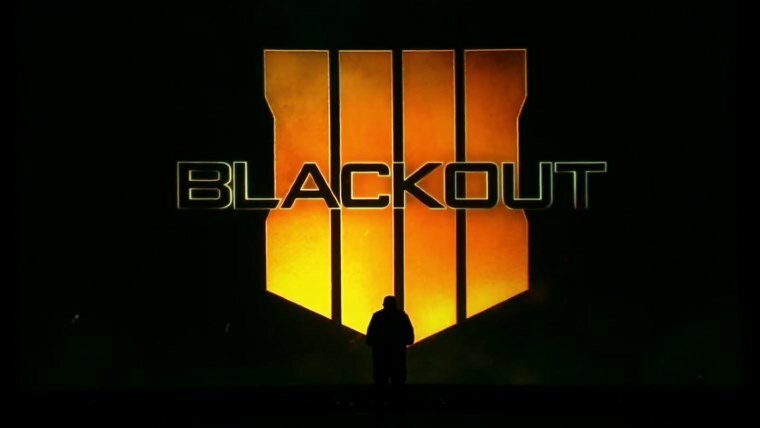 Treyarch’s take on the immensely popular BR formula, Blackout looks to take everything that is Call of Duty Black Ops with the hopes that it will become the next big BR game. Blackout combines the signature Black Ops combat, characters, weapons, gadgets, equipment, and locations, with the largest map by an order of magnitude in Call of Duty history. With its smooth, fluid combat, players will insert themselves into the action, scavenge, strategize, and compete against others with the ultimate goal of being the final survivor. Played solo, or with teams, players will engage in combat complete with air, ground, and water vehicles in a mode that’s all about Black Ops, and unlike anything else. Of course, people are already making the comparisons between this and Fortnite. Some already stating that Fortnite had a good run and implying that Blackout is going to basically end its hype. Yet, there’s something about a game that has surpassed all BR-type games and has stayed at the top. Sure, I don’t have any doubt that Activision wants a piece of that action. However, Fortnite’s battle royale mode is free, where with Call Of Duty: Black Ops 4 you’re paying $60 dollars from the jump. I don’t know about those odds, at least not at the start. There’s a bigger focus on the fan favorite, Zombie mode. This time we’re getting not one, but three different zombie instances from the start; IX, Voyage of Despair, and Blood of the Dead. With the promise that we’ll get a new cast of characters, deeper gameplay and tons of content to keep us busy for a while. Celebrating the 10-year anniversary of Call of Duty Zombies, we’re going all out and delivering the biggest launch day offering ever with three full Zombies experiences: IX, Voyage of Despair, and Blood of the Dead. With an exciting new adventure and a brand-new cast of characters, Call of Duty: Black Ops 4’s Zombies will feature the deep gameplay and Easter eggs that its rabid community of fans have come to expect. And the fun and replayability with the undead are taken to a new level with our Zombies version of customized gameplay, called Custom Mutations. Now, I’d be lying if I said I didn’t like the Zombies mode, but I freaking loved them. While I didn’t partake as much in the traditional online modes, I was glued to Zombies. I suspect that if I do pick up Call Of Duty: Black Ops 4 that it will be more of the same. I’m already pretty excited for both IX and Blood of the Dead. Sadly this is all I’m excited about at the moment. But let’s talk about the bad. It was heavily rumored that Call Of Duty: Black Ops 4 would not feature a single player campaign. Many of us were hoping that this was either completely false. Or that it was still coming in some form or another. Instead, it looks like our fears have been confirmed and single player is out, with the focus being multiplayer this time around. Now I can’t really fault Activision or Treyarch for going in this direction. Ever since Call of Duty made the leap to console and a large part of the game started focusing on the multiplayer aspect. It was inevitable for this to happen. With more and more people jumping online to play either the Zombie mode or fragging their friends and others in massive shootouts. You had to wonder when the single-player mode was going to give up the ghost. In this day and age where online has been shown to sell games, it makes sense regardless if we like it or not. It’s a business decision and I get it. Singleplayer content takes a long time to develop and get right. And most of the time, people ignore it and go straight to the online stuff. I’m guilty of this as well, I won’t lie. But now we’re at an impasse. Those of us who wanted that single-player offering, while the others who are already tossing their money at Activision for doing away with it. Doing a quick run through both Twitter and Reddit, there’s already up in arms about the campaign being removed. Some are completely in-depth rants, while others have simply said “No Singleplay, No Buy”. I feel that I’m also in this boat. I really want to check out Zombies, yet I can’t see myself shelling out $60 dollars. My son and I really enjoyed playing it together in previous games. Maybe if the game was pieced out, like how Fortnite is, I’d bite. As it stands right now It’s looking like I’ll be passing on this. All that said, my opinion could change when I get my hands on the beta for the game. That is if I decided to plunk down the cash to preorder the game since that’s the only way to get access to the beta. Or at least for now.